Used Office Furniture to Canterbury - Delivery & Installation By CK Office Furniture! CK Office Furniture is one of the largest stockists of quality used office furniture in the south east with 3000 square feet of warehousing and continual intakes of second hand office furniture which we are buying in, sorting, storing and then delivering out to Canterbury, and the surrounding areas of south east England and beyond. The kinds of office furniture we deliver to Canterbury include radial desks, rectangular desks, bench desks, operator chairs, boardroom tables, meeting chairs, filing cabinets and stationery cupboards. Other used furniture products also come into stock from our clearances, and you can view these online or call us to check the current stock. We will undertake clearances of surplus furniture all over the country (although predominantly in the south east), and this includes Canterbury. We regularly take in batches of used high-end task and mesh office chairs, and always have a large supply of mid-range operator chairs for everyday office use to enable you to kit out your office area for small, medium or large scale seating. Chairs are sorted, cleaned and made sure to be in working order before we deliver to you. 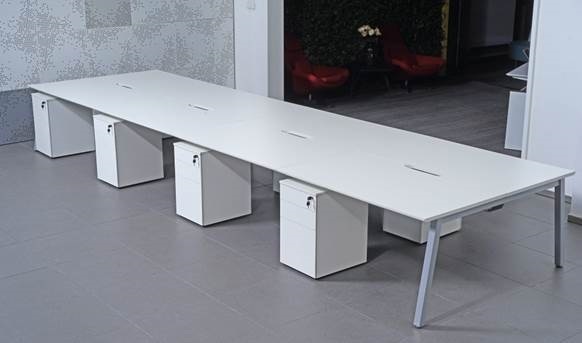 Similarly, the used desks are brought in for sorting, cleaning and storing so that they are ready for dispatch and installation within short notice if required. Used stationery cupboards come into stock regularly, both metal and wooden, and we regularly take in used tambour cupboards - half height and full height - often in batches so you can order multiple matching items for your office. We have ongoing stocks of second hand filing cabinets ready for delivery in and around your area. You can save huge amounts by opting to buy second hand office furniture, and this can be crucial when starting out in business or when expanding an ongoing business. If however you cannot find what you want, then check out our new office furniture ranges, which include bench desking, sit-stand desks, executive desks, white office desks and more. Offering true value for money, and without compromising on quality, the ranges we supply are varied and economical. 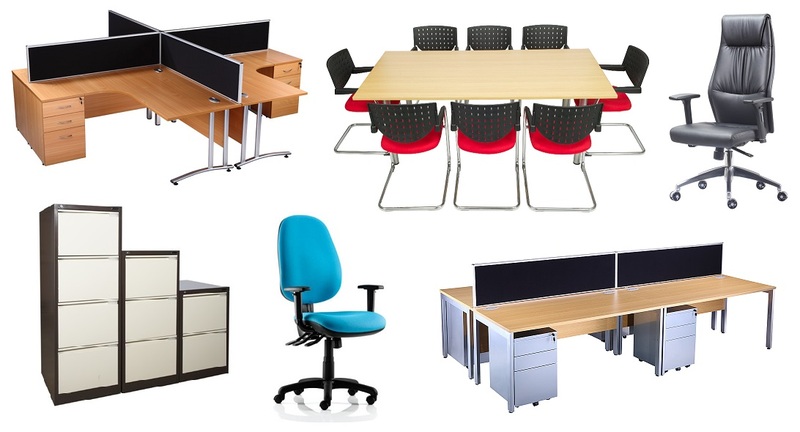 We keep stock of some of the new office furniture ranges at our warehouse while other ranges can be ordered in from the manufacturers we work with. If you have any questions please give us a call. Our service of delivery and installation of office furniture takes place throughout southern parts of the UK including Canterbury and all of our used office furniture is delivered by our own delivery drivers and fitters so you will be sure to receive a friendly and efficient service. If you require an office layout design we can consult with you on this to ensure you choose the right furniture for every project.